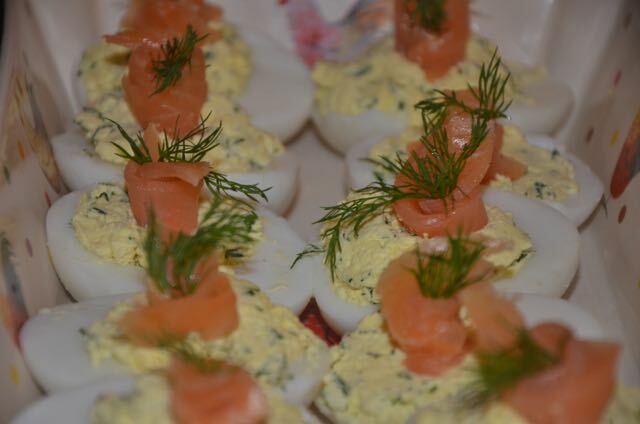 Devilled eggs are a staple on any southern table and they're served throughout the year on various occasions from 4th of July picnics to Christmas dinner. You'll find them pretty much anytime there's a good excuse to get together over some good ole fashioned home-cooked favourites, if they last long enough to be seen. While nothing tops the traditional devilled egg, this is a makeover if you will of an old Southern classic, which in my opinion makes a rather tasty and quite pretty starter or canapé for dinner parties or special occasions. It's also an excellent alternative to traditional varieties for people who are allergic to chicken eggs, but find they can tolerate duck eggs. 1. Put the eggs into a medium saucepan and cover with cold water before putting on a burner with high heat. Bring to a boil and then reduce the heat to low, cover and simmer for 15 minutes until hard boiled. 2. When fully cooked, remove the pan from the heat, rinse the eggs with cold running water and leave the eggs to cool. 3. When the eggs have completely cooled, peel them. Cut the eggs in half horizontally and scoop out the yolks taking care not to break the egg whites. Place the whites in a dish and cover with cling film. Store them in the fridge until they are ready to be filled. 4. 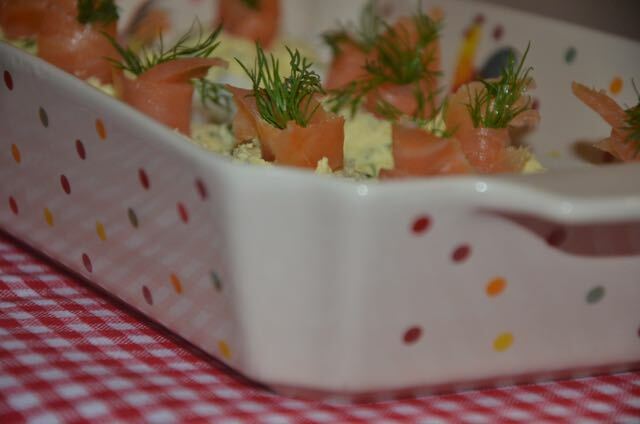 Put the yolks, sour cream, dill, chives, lemon zest and 1 teaspoon of the lemon juice into a mixing bowl. Using a fork, mix the ingredients together, mashing the yolks as you go until the yolks are mashed and the ingredients are well-mixed, forming a savory yellow paste. Season with a pinch of sea salt flakes & several grinds of fresh black pepper and stir again. 5. Fill each empty egg white half with the filling, taking care not to break the egg whites. 6. Roll the smoked salmon strips into small cones and gently push them into the devilled egg yolks. Finish each egg with a sprig of dill (optional). Yum! Could you use traditional chicken eggs, or is it just not the same? Thanks!